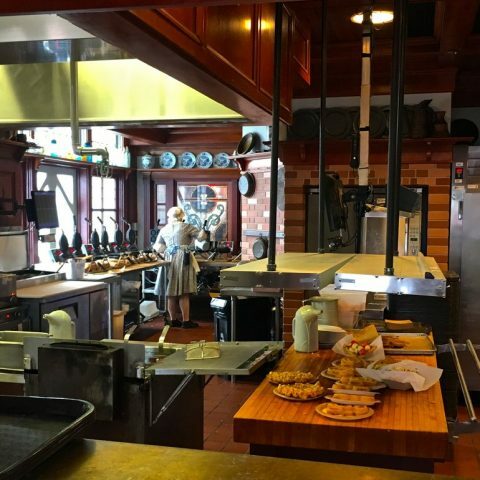 Sleepy Hollow Refreshments is one of our favorite snack shops in the Magic Kingdom. Waffle and funnel cakes are its thing. But on our last trip, we ordered up something new—the Vanilla Ice Cream Churro Sandwich. Waffles are a Sleepy Hollow menu staple. 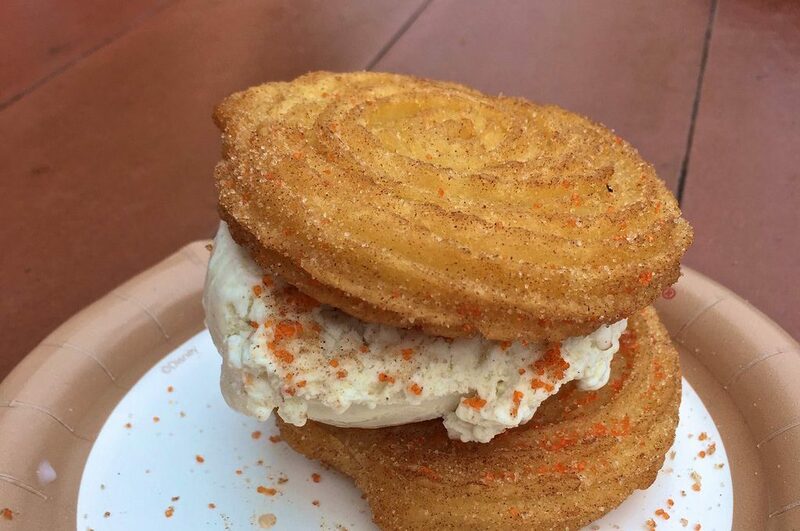 If your taste buds enjoy fried ice cream, then you are bound to love the churro sandwich. Disney’s Florida churros don’t get as much love as the company’s California versions, and rightfully so (Disneyland makes its churros fresh to order). However, we can’t imagine a park visit without a churro stop. We love their cinnamon-sugar, doughnut flavor, and their crunchy-on-the-outside-soft-on-the-inside texture. Churros are also easy to carry around and not terribly messy (unless you opt-in for the melted chocolate sauce). 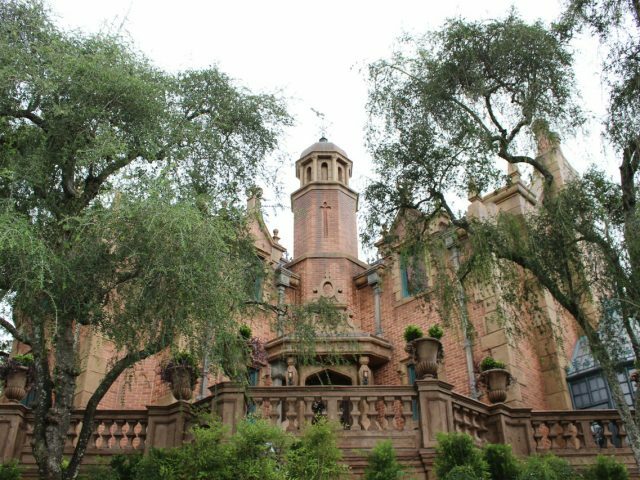 Unlike traditional churros (which are long and thin), Sleepy Hollow’s churros are spiral-shaped. The round shape serves as the top and bottom holding in the vanilla ice cream. The churros are warm, softening the ice cream just enough for eating. Since our sandwich came near the Halloween holiday, our treat also included a little extra sprinkling of orange sanding sugar around the edges. The size was generous—equivalent to two churros and a full scoop of ice cream. It made a good one or two-person treat. The price was $6.99. And just to make it extra tempting for you. 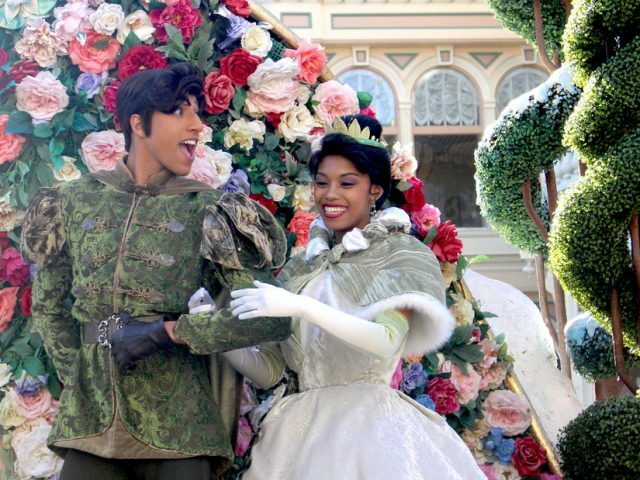 You cannot beat Sleepy Hollow Refreshment’s location. 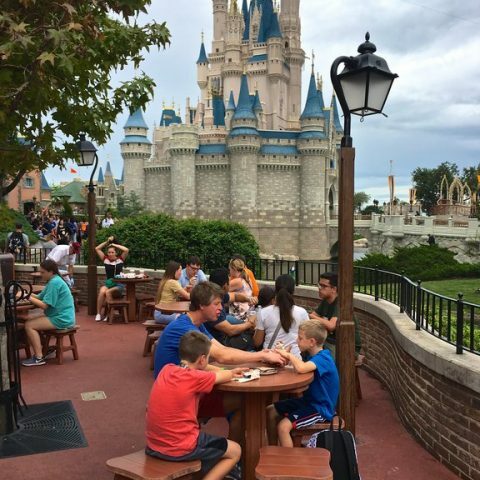 It includes the best, unobstructed view of Cinderella’s castle, and a charming offering of tables and wooden stools to take a minute to sit and relax. 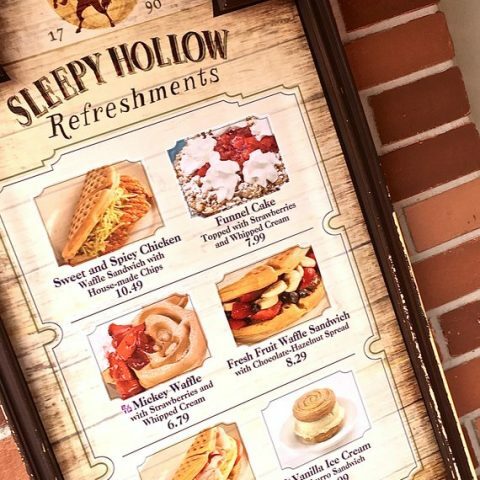 Because of its popularity, it’s hard to call Sleepy Hollow Refreshments a “hidden gem”. 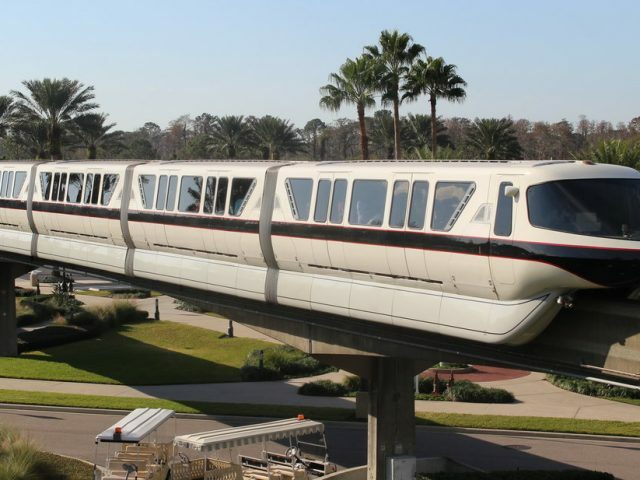 Let’s just say it’s a definite “must try” when you’re in The Kingdom.